The first mammal to orbit the Earth was a dog, called Laika from Russia. Unfortunately, she died in space. Her daughter Pushnika, had 4 puppies with President John F Kennedy's terrier, Charlie. Share their ancestry with Wolves, Raccoons and Bears. Those born under the sign of the dog in Chinese astrology, are considered to be loyal and discreet, though a bit temperamental. Three dogs survived the sinking of the Titanic - a Pekinese and two Pomeranians. Have a sense of hearing ten times more acute than a humans. Do not like the rain because the sound is amplified and it hurts their sensitive ears. Have at least 18 muscles in each ear which can move them around independently of one another. Can gauge a human's emotion by listening to the voice. Can hear a storm when it's coming. Have wet noses in order to absorb scent chemicals. Have a sense of smell 1,000 times greater than humans. Have 220 million smell-detecting cells - humans have 5 million. Their sense of smell is now being used in Cancer diagnosis, diabetes and the early signs of an epileptic seizure. Sniffer dogs can be trained to find USB sticks. Bloodhounds are able to trace smells that are over 300 hours old. Can smell a storm when it's coming. Investigate bad smells with their right nostril and good smells with their left nostril. Can see in colour. It is myth that they can only see in black and white. They see colour within the blue and yellow scale, but cannot distinguish between red and green. Have better night vision than humans. Are considered as intelligent as a 2-year old child. Can recognise over 250 words. 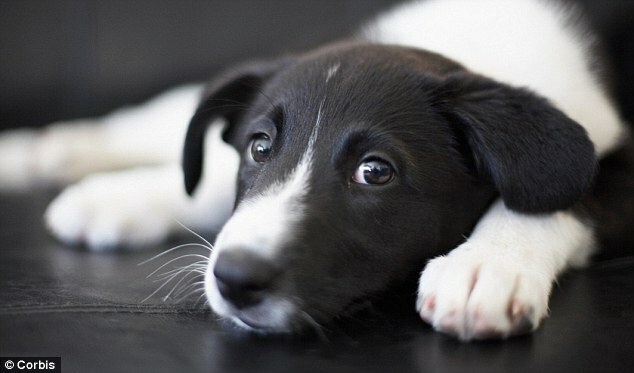 The world's smartest dog, Chaser, a Border Collie, recognised over 1,000 words. Boarder Collies and Poodles are thought to be the most intelligent dogs. Afghan Hounds are thought to be the least intelligent dogs. Beagles and Collies are considered to be the nosiest dogs. Small dogs live the longest - up to 16 years or more. Large dogs live between 7 - 12 years. The longest living dog was an Australian Cattle Dog, named Bluey who lived to be 29 years old. Salukis are the oldest dog breed still in existence today - known from 329 BC in Egypt - about 2,000 years ago. There are 701 pure breed dogs. mentioned 14 times in the Bible. People who own pets live longer and are less stressed. Have nose prints as unique as human finger prints. Have lived with humans for over 14,000 years. Dog often contagiously yawn after seeing a person yawn. Sweat through the pads of their feet. 4,500 Service Dogs were used in Vietnam, sent to aid the troops. Should not eat chocolate, macadamia nuts, cooked onions, anything with caffeine, grapes or raisins, apple or pear seeds. Dog food is tested on humans. Hear sounds in higher ranges than other dogs. Dalmation dogs are completely white at birth. About 30% are deaf in one ear. French Poodles originated in Germany. A Greyhound can run as fast as 45 miles per hour. A Greyhound can see better than any other dog. Known in Mexico as nature's hot water bottles. Have webbed feet, making them excellent swimmers. Are one of the breeds most closely related to the Wolf. Shih Tzu roughly translates to 'little lion dog'. ​Known to exist as far back as 624 CE - as confirmed in the art of the era.